As well as leading Freedom United, Joanna is Chair of the board of the Commonwealth Human Rights Initiative, a trustee at Labour Behind the Label Trust, campaigning for workers’ rights in the clothing industry, and sits on the Modern Slavery Registry Advisory Committee. Joanna was previously with Anti-Slavery International, where she developed and directed their work on business engagement. 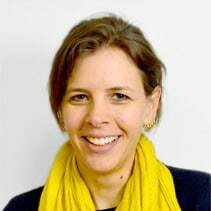 Joanna is a contributing author to books including Vulnerability, exploitation and migrants: Insecure work in a globalised economy (Palgrave, 2015), and The SAGE Handbook of Human Trafficking and Modern Day Slavery. (SAGE, 2018). Her international human rights experience spans the UK diplomatic service, academia, and philanthropy, managing multi-million dollar budgets. Joanna holds a Masters in Understanding and Securing Human Rights from the University of London.